Welcome, baby Stella! Briana DeJesus gave birth to her second child and talked about getting back together with her ex during the Monday, September 25, episode of Teen Mom 2. Also, Kailyn Lowry prepared for graduation and Jenelle Evans fought with her mom — again. Here are the biggest moments from the latest episode of the MTV reality show. After a long and emotional pregnancy, Briana finally gave birth to her baby. She and her ex Luis were overjoyed. He even brought up getting back together, and there was definitely a flirty vibe between the two. “I want to be with you and have a family with you,” Luis said before the baby was born. Briana kept it vague but viewers could tell she was seriously considering it. “I don’t want to be alone,” Briana said. “I guess we’ll see when the baby gets here.” Even though Luis is a cheater and a liar, getting back together could be good for both of them and the new baby. After the custody battle from hell, Jenelle and fiancé David Eason took their kids Jace and Maryssa to St. Thomas for some much-needed relaxation. However, once they got back, the chaos with Jenelle’s mom, Barbara Evans, resumed. During Kaiser’s 3rd birthday, Barbara asked her daughter if she would want to take a cabin vacation with her and the kids. Jenelle, understandably, wasn’t having it. “We’re being civil. It doesn’t mean I have to f–king yell and scream in your face everytime we see each other, but I still don’t like you,” Jenelle said. Barbara left it alone but Jenelle was angry. She also admitted she wouldn’t be inviting her mom to her wedding, which came as a surprise to probably no one. “That’s the price you pay for f–king someone over,” Jenelle said. Kailyn’s graduation was approaching and she couldn’t have been happier. Now she could focus on getting a job and the tail end of her pregnancy. However, she was worried that her baby daddy, Chris Lopez, won’t stick around after the baby is born. Also, even though her ex Javi Marroquin is taking her back to court, they went out to celebrate her accomplishment. He was complimentary and even cracked a few jokes that Kailyn did not appreciate. “I pretty much got you here. Those long study nights, putting the kids to bed so you can do homework,” Javi said. He better watch himself, he’s not on her good side right now! Chelsea Houska’s daughter, Aubree, is obsessed with a dolphin named Winter that lives at an aquarium in Florida. She loves the dolphin so much that Chelsea decided to book a vacation to go visit it. Aubree was over the moon once she got to play with the dolphin, and Chelsea seemed to be pleased she could bring her daughter so much joy. It seems like she still feels bad that Aubree’s dad, Adam Lind, doesn’t pay much attention to his daughter, so she felt like she needed to make up for it. 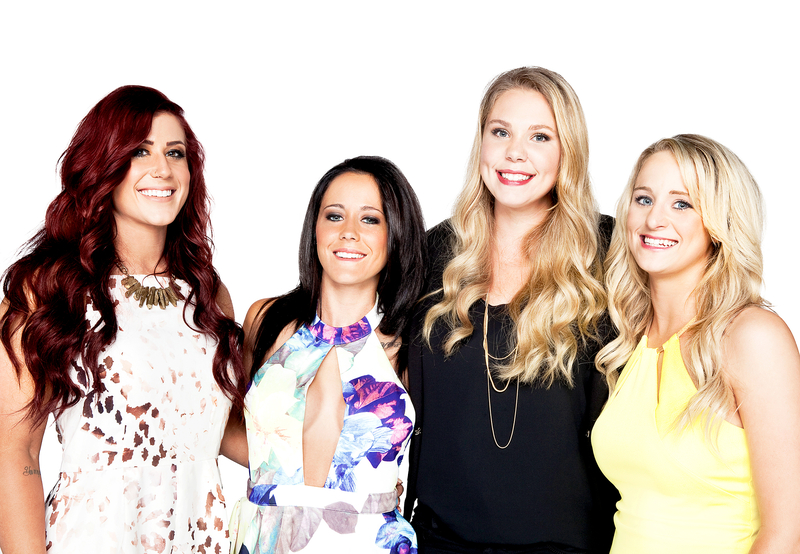 Teen Mom 2 Tots: My, How They've Grown! Leah Messer decided to follow her dreams of being a public speaker and got her first opportunity at a meeting of women who sell the same lipstick she does. However, once she got on stage, she couldn’t control her thoughts and was fumbling with her words. She attributed it to feeling inauthentic talking about following her dreams as an advertisement for a lipstick brand and said she would go a different route in the future. Tell Us: Do you think Briana and Luis should get back together?